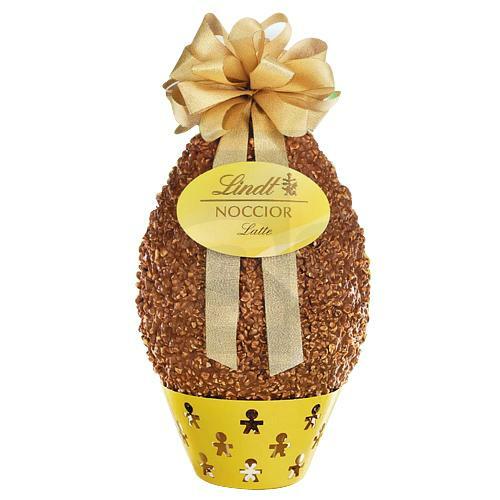 Description : Praise someone dear for their virtues by gifting this Color-Coordinated Yellow and White Bouquet that clearly states how special they are. 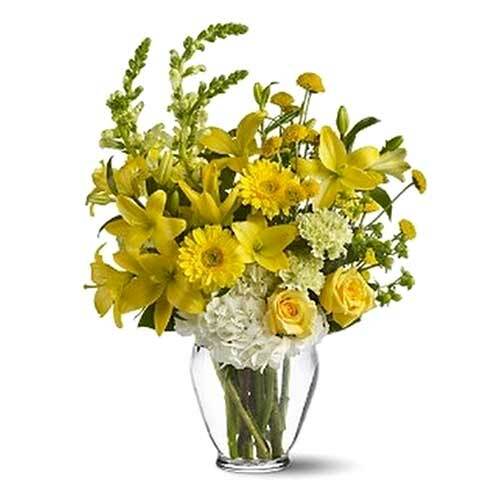 This enigmatic Bouquet is made of selective fresh White Roses, Yellow Lilies, Yellow Freesias and filled with Greenery that arrives in a Glass Vase. 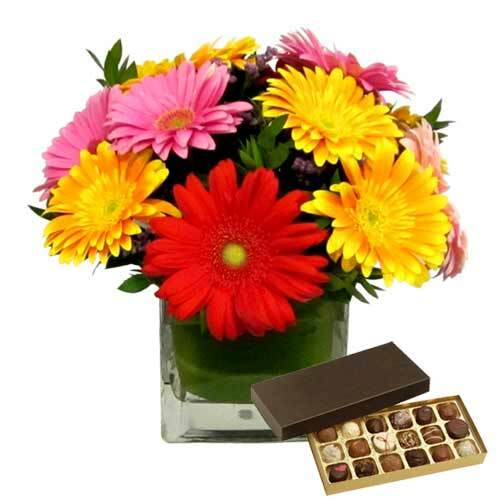 Order this online gift of Gorgeous Harvest Blooms Mixed Gerberas Bouquet with a Treat Box and make the events of your close ones more special from miles away. 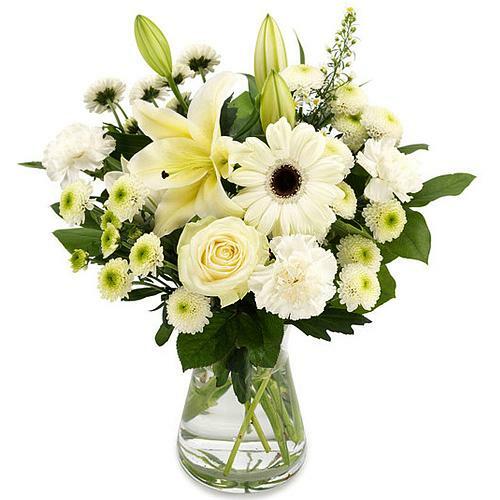 This joyful Bouquet of Gerberas in Mix Color is accented with Ornamental Greenery.